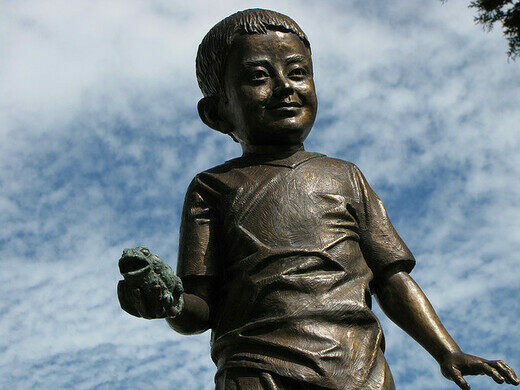 Statue of Edgar Hernandez, the first victim of swine flu. Many little boys dream of the day that a statue will be erected in their home town celebrating their life’s defining achievement. But unlike Edgar Hernandez, five year old resident of the Mexican state of Velacruz, they don’t usually get one. Huge hole looks down onto an underground beach populated with sea lions. In 2009, the boy, from the poor village of La Gloria, became “Patient Zero”, the first known person to catch H1N1, the deadly swine flu virus. While the strong and healthy boy survived the virus, 14,000 people worldwide were not so lucky. The statue is based on the famous Mannequin Pis in Belgium, but fortunately for young Edgar’s future dignity, he remains fully clothed. In his right hand, he clutches a toad, representing one of the seven deadly plagues wreaked upon the Pharoah and his people. Edgar’s mother, Maria del Carmen Hernandez Perez, insists that her son likes the statue. Meanwhile, the state government is working hard to promote the statue, which it hopes will become a major draw for the rural town. 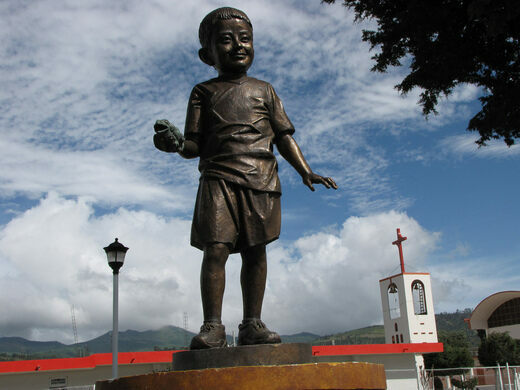 It is too early to tell how Edgar will feel about his fame when he grows up, but sculptor Bernardo Luis Lopez Artasanchez may hope it fares better than one of his previous works. In 2007, a statue of former president Vicente Fox was torn down by an angry mob. Visit this small Mexican church to pray to a mushroom that is supposedly marked with the image of Christ. A 500-year-old series of tunnels long believed to be folkloric was uncovered beneath the streets of Puebla. The splendor of this 17th century golden chapel has led it to be called the "eighth wonder of the world." This unusual monument shows a naked Simón Bolívar stripped of clothing, medals, and swords. A city's controversial tribute to its founder depicts townspeople flashing their bare behinds.